In a little over a week, pitchers and catchers will report to Spring Training. The Atlanta Braves finished last season tied in second place with the New York Mets in the National League East. The Braves wound up with a record of 79-83 and were a distant 17 games behind the Washington Nationals. The Braves hit just .241 as a team last year, but still had a chance at making the playoffs until they limped through the final month of the season, hitting .206 and scoring but 59 runs in their final 25 games. Obviously, the Braves needed to make some changes and they wasted no time in firing general manager Frank Wren. John Hart took the reins as president of baseball operations and went to work on the Braves’ roster. Apparently he decided that the way to cure what ailed the 2014 Braves was to shed their most productive hitters and stock the roster with as many backup catchers as he could get his hands on. The purge began on Nov. 17 when the Braves traded Jason Heyward, along with reliever Jordan Walden, to the St. Louis Cardinals for pitchers Shelby Miller and Tyrell Jenkins. Heyward hit .271 last year and is the best defensive outfielder in baseball. For a team that struggled to score runs, it’s hard to see how this trade helps the Braves. On Dec. 19 the Braves traded Justin Upton, along with pitcher Aaron Northcraft, to the San Diego Padres for left-handed pitcher Max Fried, third baseman Dustin Peterson, second baseman Jace Peterson, and center fielder Mallex Smith. Upton led the Braves in home runs with 29, runs batted in with 102, and he hit .270. Even if the Braves were loaded with offense, it’s hard to see how trading the most productive hitter on the team makes any sense. Hart completed his trifecta on Jan. 14 when he traded catcher Evan Gattis, along with pitcher James Hoyt, to the Houston Astros for another bevy of prospects; the Braves got pitchers Michael Foltynewicz and Andrew Thurman, and third baseman Rio Ruiz from Houston. 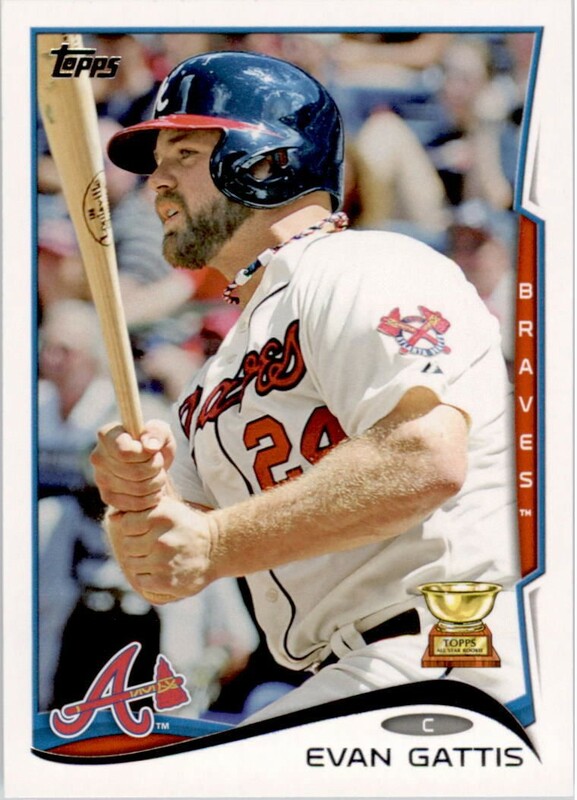 Gattis hit .263 with 22 home runs last season and he is a much better defensive catcher than Braves’ announcers Chip Caray and Joe Simpson seem to realize. Again, for a team that needs to score more runs, this deal makes absolutely no sense at all. Hart’s justification for trading Heyward and Upton hinges on the fact that both players are in the final year of their respective contracts. Hart figured the Braves were not going to be able to resign either of them after the season, so they would be lost with nothing in return. That is a valid consideration, but it seems to me that the Braves would have been better off hanging onto Heyward and Upton and getting one more season out of them, especially considering how little they wound up getting for them in return. Using Hart’s logic, the Gattis trade makes even less sense than the Heyward and Upton trades. Gattis made a little over $520K last season. He isn’t eligible for arbitration until 2016 and could not be a free agent until 2019. Therefore, trading Gattis makes absolutely no sense at all. Oh well, the Braves did sign Nick Markakis and Jonny Gomes. That should make up for all the offense they traded away. On Jan. 7 the Braves signed veteran catcher A.J. Pierzynski to serve as backup to Christian Bethancourt. 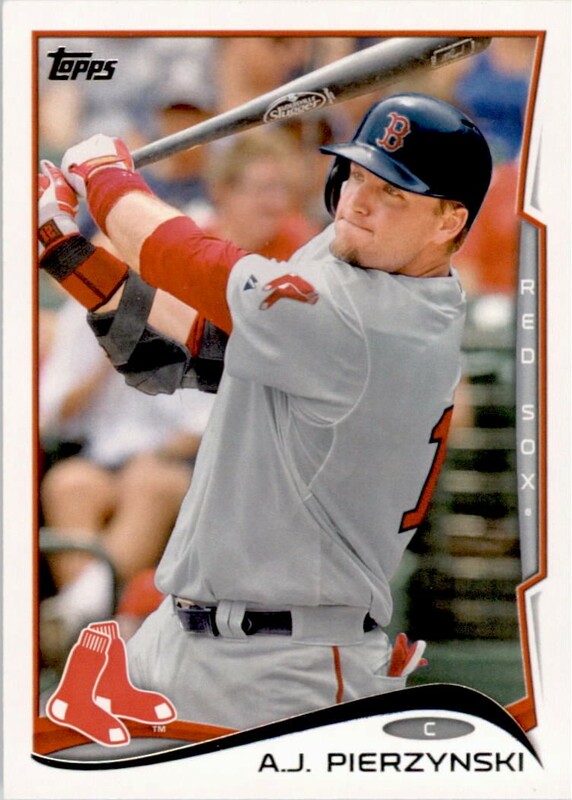 Pierzynski hit .251 with five homers last season serving in a backup role in Boston and St. Louis. He is still a decent defensive catcher and he gives the Braves a solid left-handed bat off the bench; he is a career .281 hitter. At the very least this deal meant that the Braves were not going to keep Gerald Laird around for another season. Laird can’t hit, he can’t run, and despite what Caray and Simpson say, he can’t catch or throw. But Hart apparently wasn’t satisfied with having just one backup catcher. On Jan. 25, the Braves signed John Buck to a minor league deal; the next day they signed Jesus Flores to one, as well. Buck split last season with the Seattle Mariners and Los Angeles Angels; he hit .225 with one homer and six RBIs. Flores last played in the big leagues in 2012 with the Washington Nationals. It’s hard to imagine how these two guys fit into the Braves’ plans. On Jan. 30, Hart traded pitchers David Hale and Gus Schlosser to the Colorado Rockies for catchers Joe Briceno and Chris O’Dowd. In parts of two seasons for the Braves, Hale was 5-5 with a 3.02 earned run average and was able to give the team some solid innings as both a starter and a reliever. This is another trade that doesn’t seem to make much sense. So, after all of these deals, the Braves will open Spring Training with a weaker offensive team, a gaggle of prospects, and a bunch of backup catchers. It looks like it’s going to be a long season for Braves fans. Chipper Jones retired after the 2012 season. He finished his career with 468 home runs and a .302 batting average. 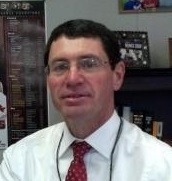 Most baseball experts agree that he is a surefire bet to go into the Hall of Fame in his first year of eligibility. As a lifelong Braves fan it pains me to say it, but the problem with Chipper Jones is that he just won’t go away. Somewhere around April of 2013, I got tired of hearing that Chipper was on a hunting trip, or that Chipper was in the ballpark, or hearing Chipper himself talking out of the side of his mouth in the broadcast booth. I got tired of seeing shows about Chipper during every rain delay. I get it; Chipper Jones was a great player. He is the greatest player in Atlanta Braves history. You don’t have to take my word for it because, as Casey Stengel said, “You can look it up.” According to one of those rain delay shows about Chipper, he was a great high school baseball player. Heck, he was even a great high school football player. If you’re still not convinced what a great athlete Chipper was, then you can just ask Chipper. Or his dad. Or his mom. Or Bobby Bowden. They all are more than willing to tell you about Chipper. I’ve got some outrage for you, Chipper. In December of 2012, a madman killed 26 people, 20 of whom were young students, at Sandy Hook Elementary school in Newton, Conn. Tweets like this one dishonor the memory of those victims and inflict unimaginable heartache on their families. Only a complete moron could tweet such a thing. There, Chipper, is the outrage. It’s a bit ironic that Chipper is guilty of making ignorant and insensitive remarks in a public forum. In December of 1999, Braves’ pitcher John Rocker spewed all kinds of hateful rhetoric to a reporter from Sports Illustrated. At the time Chipper was one of the first players to speak out against what his teammate said. Rocker was 25 years old when he made his outrageous statements. Chipper was 27 at the time and he had enough sense then to know that Rocker’s comments were inappropriate. But somehow or another Chipper at age 42 didn’t have enough sense to keep from publicly offending a group of people who already have suffered the most unspeakable pain. Of course, Chipper went on Twitter and issued an apology for his idiotic post. He said he got his information from a source he thought was reliable and tweeted it without researching; kind of makes you wonder who his source is. Chipper also owned up to being irresponsible and apologized to those he hurt and offended. I will give Chipper this. As apologies from public figures go these days, his was pretty good. But now that Chipper has apologized, I have one favor to ask of him. Hey, Chipper, why don’t you just put down your smartphone, climb back up into your tree stand, and keep your big fat mouth shut? Man you’re stupid, Hart had one goal this off season. Replenish the farm system and then add some veterans on short term. The Braves aren’t going to be good this year, everybody knows that. But in terms off future plans and the big picture, what’s not to understand about the trades? Hart is the one who is stupid. Giving Gattis away makes NO sense. Of course everyone knows they aren’t going to be good NOW after all of Hart’s pathetic dealing. Thanks, Luisa. Gattis was a low-cost player with a big bat and a fan favorite to boost. Thanks for checking out my blog. He had no position to play and Hart got overwhelmed by a trade. Gattis was nothing more than a bridge from McCann to Bethancourt, he belongs in the American League where his defense can be hidden in the Designated Hitter’s role. I love Evan, and hope nothing but the best for him, but he only has one useful tool and that is his ability to take you out of the park every at bat. I’m sorry that you have such a hard time understanding it. But Gattis was never a part of the Brave’s long term plan. Again, Gattis is a much better catcher than most give him credit for and could have done a decent enough job in left field to justify his bat. He would have been good insurance in case Bethancourt doesn’t hit enough to stick; it also should be noted that Bethancourt struggled defensively in his audition last year. Gattis was a high-production, low-cost player and they could have always traded him later. One thing’s for sure–I think Gattis will do well in that bandbox in Houston. While it is really a separate issue, at the rate Hart is acquiring catchers (both young and old), he must have some concerns about Bethancourt, as well. Thanks for the comments. Take care. Thanks for dropping by my blog, Robert. I think we agree on one thing; the Braves aren’t going to be very good this year. Who knows? Maybe they’ll surprise us all. Prospects are just that–prospective major leaguers. I just don’t think the Braves got enough in return. From looking at past minor league programs I’ve collected over the years, the success rate among prospects is about one in twenty, if that high. Let’s hope Hart has a better rate than that. Take care. Well, Robert, that’s just like, your opinion, man. “The Dude abides.” Thanks for dropping by my blog, Mike.